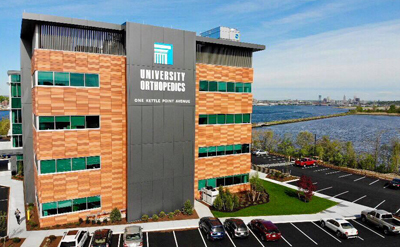 The Physical Therapists at University Orthopedics are important members of the multidisciplinary health care team. Upon referral to physical therapy at our Rhode Island offices, each patient receives a thorough assessment of his or her impairment. The physical therapist will plan a treatment regimen best suited to the individual problem. The next step is to begin work on restoring flexibility and easing discomfort. Our therapists are experienced in working with patients of all ages and activity levels from children to senior citizens, college and professional athletes to homemakers.